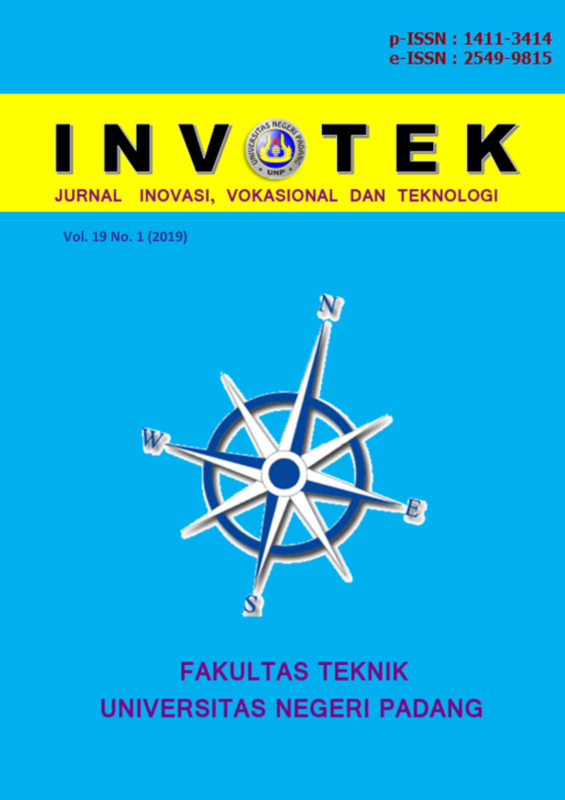 Editor in Chief: Krismadinata, Ph.D.
INVOTEK: Jurnal Inovasi, Vokasional dan Teknologi is a referred journal with the objectives to explore, develop, and elucidate the knowledge of technical vocational and education training (TVET) and, engineering design and technology, to keep practitioners and researchers informed on current issues and best practices, as well as serving as a platform for the exchange of ideas, knowledge, and expertise among technology researchers and practitioners. INVOTEK provides an opportunity to share detailed insights from different understandings and practices associated with innovative regarding TVET and technology. It provides an academic forum for the cross-disciplinary exchange of insights and ideas regarding value and practices for dissemination. INVOTEK will publish your work to the international society of practitioners and researchers with interest in TVET and technology design and development from a wide variety of sectors.